It’s a busy time of year — the planning of cycling events for 2016! We’ve made a change on our website. We’ve made it easier for you to quickly see upcoming cycling events in Brampton, just by taking a look at the sidebar of any page on bikebrampton.ca. We’re using Facebook to manage events. This is so that if you have the Facebook app on your phone, you can be reminded of an event happening near you. 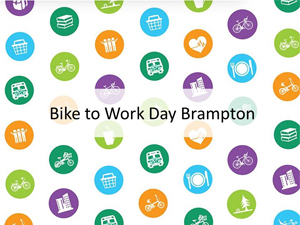 Some of the new cycling events in Brampton this year include Community Ward Rides, more starting points for Bike To Work Day, Manitou Park Bike Parade, and expansions to Bike The Creek and Bramalea CycleFest. We hope to see you there!